If you love Halloween then you know that Halloween would not be the same without a dose of Michael Myers. We make it a tradition to watch “Halloween” every year. There have been 10 movies made in the Halloween franchise, some good and some not so good. Here is a list of those from #10 to the Best. This Halloween make a day of it and watch all 10. The new ‘Halloween’ comes out next month so it is not on this list – It may be added at a later date. This is the third installment in the Halloween film series. It is the first film to be written and directed by Tommy Lee Wallace. Halloween III is the only entry in the series that does not feature the series antagonist Michael Myers, nor does it include story elements from either Halloween (1978) or Halloween II (1981). Now how can you make a Halloween movie that does not include Michael Myers and expect it to be a success! The movie instead featured a “witchcraft” theme with science fiction aspects and parallels to old Celtic fairy tales. At the box office it grossed a total of $14,400,000 in the United States, but was the worst performing Halloween film at the time. 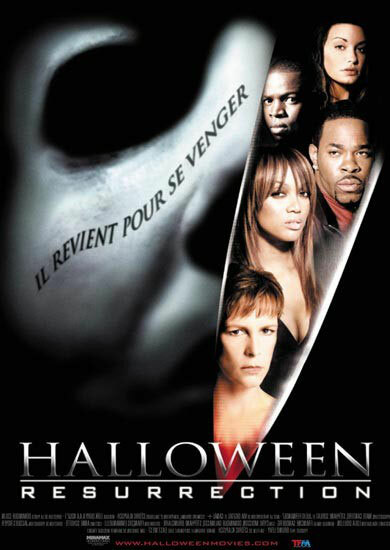 Halloween : Resurrection was the eighth installment in the Halloween film series. Larry Brand and Sean Hood devised the screenplay. It continues with the masked serial killer Michael Myers continuing his murderous rampage in his hometown of Haddonfield. Yet, this time, the killer’s old, derelict childhood home is being used for a live internet horror show. Jamie lee Curtis agreed to be a part of the film under the condition that no footage hinting toward a sequel would be presented by the film, and that the audience would believe that Michael was dead. Despite the heavy criticism, Resurrection was somewhat of a box office success, with over $30 million made in the box office domestically and $37.6 million world wide. Halloween ll (2009) is a sequel to Zombie’s 2007 remake of 1978’s Halloween, and the tenth installment of the franchise. Picking up where the 2007 film ended and then jumping ahead two years, Halloween II follows Laurie Strode as she deals with the aftermath of the previous film’s events. For Halloween II, Zombie decided to focus more on the connection between Laurie and Michael, and the idea that they share similar psychological problems. Zombie wanted the sequel to be more realistic and violent than its 2007 predecessor. Halloween II was met with a negative reception from critics. The original opening of the film grossed less than the 2007 remake, with approximately $7 million. The film would go on to earn $33.4 million in North America and $39.4 worldwide. Halloween : The Curse of Michael Myers is written by Daniel Farrands. It is the sixth installment in the Halloween film series. The film stars Donald Pleasence, as Dr. Sam Loomis, in his final film appearance. The film follows a young woman living with her family in Michael Myers’s childhood home who finds herself stalked by Myers on Halloween. The plot of the film formally introduced the “Curse of Thorn”, a mystical symbol that first appeared in The Revenge of Michael Myers (1989) and revealed in the film to be the source of Michael Myers’s immortality and drive to kill. Halloween: The Curse of Michael Myers received negative reviews and went on to gross a total of $15,116,634 at the U.S. box office, from an estimated $5 million budget. Halloween (2007) is written, directed, and produced by Rob Zombie. The film is a remake/reimagining of the 1978 horror film of the same name; the first in the rebooted Halloween film series and the ninth installment of the Halloween franchise. Zombie chose to develop the film as both a prequel and a remake, allowing for more original content than simply re-filming the same scenes. Despite mostly negative reviews, the film, which cost $15 million to make, went on to gross $58.3 million in North America and $80.3 worldwide. Making it the highest-grossing film in the Halloween series. 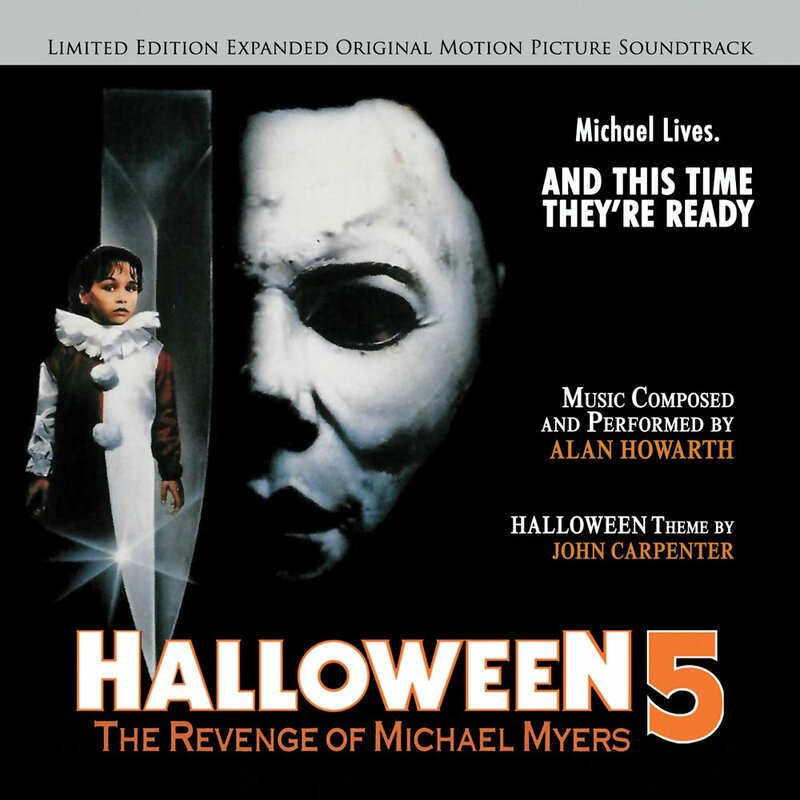 Halloween 5: The Revenge of Michael Myers is the fifth installment in the Halloween film series. It was directed and co-written by Dominique Othenin-Girard and starred Donald Pleasence, who again portrayed Dr. Sam Loomis, and Danielle Harris, who reprised her role as Jamie Lloyd. The film takes place exactly one year after the events depicted in Halloween 4: The Return of Michael Myers. Michael Myers has returned to the sleepy town of Haddonfield, Illinois to murder his niece, Jamie, who is now mute. Dr. Loomis tries to save the day with the help of Sheriff Meeker. Although Danielle Harris and Donald Pleasence received praise for their performances, the film had a mostly negative reception. The movie earned $11.64 million domestically on a $5 million budget. Halloween H20: 20 Years Later is directed by Steve Miner. It is the seventh installment in the Halloween film series, and is a direct sequel to Halloween and Halloween II. Jamie Lee Curtis reprises her role as Laurie Strode. Set twenty years after the events of the first two movies, H20 centers on a post-traumatic Laurie Strode who has faked her own death so that she could go into hiding from her brother Michael Myers. The film got good reviews and in terms of total gross, Halloween H20 is the highest-grossing film in the Halloween franchise, besides the Rob Zombie version. It earned $55 million domestically with a $15 million production budget. Halloween 4: The Return of Michael Myers is the fourth installment in the Halloween film series. Directed by Dwight H. Little and written by Alan B. McElroy, it focuses on Michael Myers returning home to kill his niece Jamie Lloyd (Danielle Harris), the daughter of Laurie Strode, with his former psychiatrist Dr. Sam Loomis(Donald Pleasence) once more pursuing him. After viewing the film’s rough cut, director Dwight H. Little and producer Moustapha Akkad decided that the film’s violence was too soft, and so an extra day of “blood filming” commenced. The film received mixed critical reception, earning $17.7 million domestically with a production budget of $5 million. Halloween II is written and produced by John Carpenter and Debra Hill, and starring Jamie Lee Curtis and Donald Pleasence who reprise their respective roles as Laurie Strode and Dr. Sam Loomis. It is the second installment in the Halloween film series and a direct sequel to Halloween. The plot picks up immediately after the events of the previous film, where Michael Myers follows survivor Laurie Strode to a nearby hospital, while Dr. Loomis is still in pursuit of his patient. The film received mixed or average reviews and earned $25.5 million domestically. You don’t get better than the original Halloween! 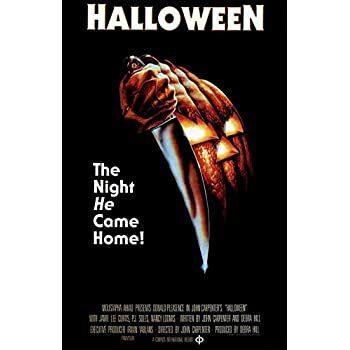 Halloween is directed and by John Carpenter, co-written with producer Debra Hill, and starring Donald Pleasence and Jamie Lee Curtis in her film debut. The film tells the story of serial killer Michael Myers as he stalks and kills teenage babysitters on Halloween night. The film predominately focuses on Michael who was committed to a sanitarium as a child for the murder of his older sister Judith Myers. Fifteen years later, he escapes to stalk and kill the people of the fictional town of Haddonfield, Illinois while being chased by his former psychiatrist, Samuel Loomis. The trademark mask worn by Michael Myers throughout the film from a Captain Kirk mask purchased for $1.98 from a costume shop. Carpenter recalled how they widened the eye holes and spray-painted the flesh a bluish white. The film grossed $47 million at the box office in the United States and $23 million internationally for a total of $70 million worldwide, selling almost 30 million tickets in 1978 and becoming one of the most profitable independent films. Halloween had a production budget of only $325,000. It was filmed in 20 days over a four-week period in May of 1978.